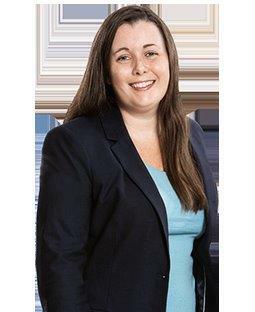 Mara Codey is a litigation associate. Prior to Mandelbaum Salsburg, Mara served as a civil law clerk for the Honorable John C. Kennedy in Essex County Superior Court. She received her J.D. degree from Seton Hall University School of Law in 2009. There, she was a member of the Legislative Journal, and was awarded “Best Brief” in Appellate Advocacy. Before entering law school, Mara spent six years teaching at two Jesuit high schools. She earned her B.A. degree in 2000 from the College of the Holy Cross, where she majored in Economic and Pre-Medicine. Mara had devoted much of her time and resources to nonprofit work. She was a legal intern with Seton Hall’s Center for Social Justice where she worked on predatory lending matters, and represented a client in a Cancellation of Removal proceeding. She also served as an intern for the New Jersey Institute for Social Justice, and the Office of the Attorney General, Division of Law.